Australian wines have a strong international presence for a reason – they’re good! Australia ranks sixth in the world’s wine production, producing more than 770 million litres of wine annually. But, it’s not just about the quantity, it’s the quality of Australian wines that make the country a destination for all wine lovers. 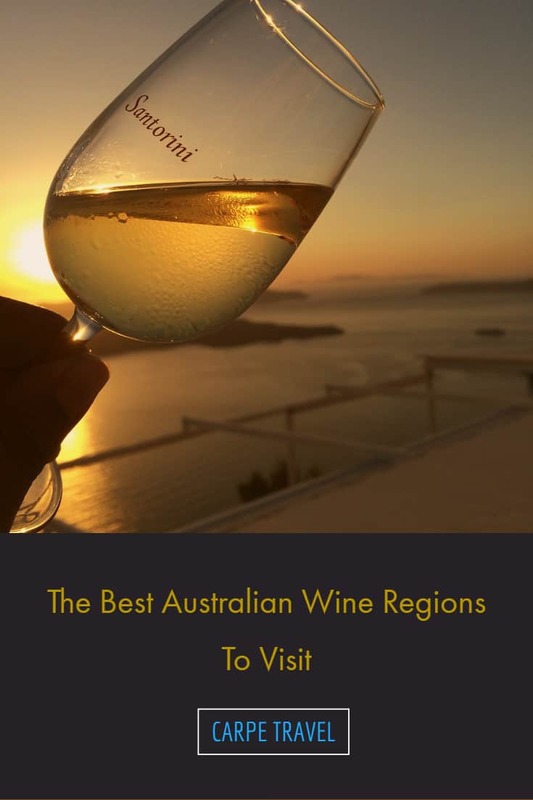 With more than 60 designated wine regions across the country, it’s easy to get a taste of Australian wines while enjoying your time in the Land Down Under. Here’s a short overview of some of the best Australian wine regions to visit. Shiraz (the Aussie name of the Syrah grape) and Chardonnay make up 44 percent of the total wine production in the country. However, many winemakers started successfully experimenting with Pinot Noir and Cabernet. You’ll also find Rhône-style blends in the South, aromatics like Riesling, classic Chardonnay, and Semillon. 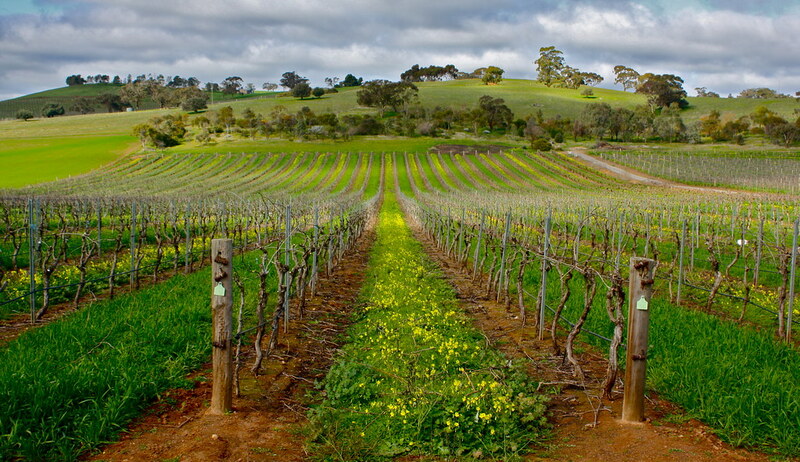 Barossa Valley was originally shaped by German settlers. These days, it is arguably the most significant and prestigious of Australia’s wine region. Many of the vines at the Barossa Valley are more than 150 years old, which are producing spicy, rich Shiraz. These wines have cast the Barossa Valley onto the international stage of excellence. Located only 45 minutes from Adelaide, it is easily accessible and is an amazing addition to one’s visit to South Australia. Besides Shiraz, other cool climate-loving vines are grown here, such as Riesling, Chardonnay, and even delicate Cabernet. If you are feeling adventurous, try red blends of the Southern Rhone wines, made of the blending grapes of Grenache, Syrah and Mourvedre. After a wine tasting tour (or maybe better before! 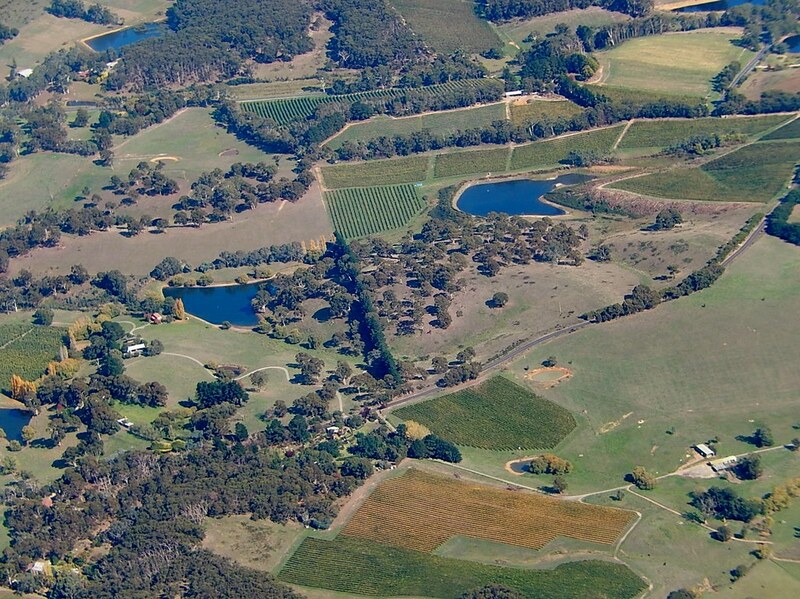 ), visit the elevated Eden Valley to take in the stunning views of the Barossa. Similar to the Eden Valley, the nearby Clare Valley is a wine region famous for white wines and is the heartland of age-worthy and citrusy Riesling. Established in the mid-19th century and located north of Sydney, Hunter Valley is an award-winning region famous for its outstanding long-aging Semillon. Other wines produced here include full-bodied Chardonnay and savoury Shiraz. 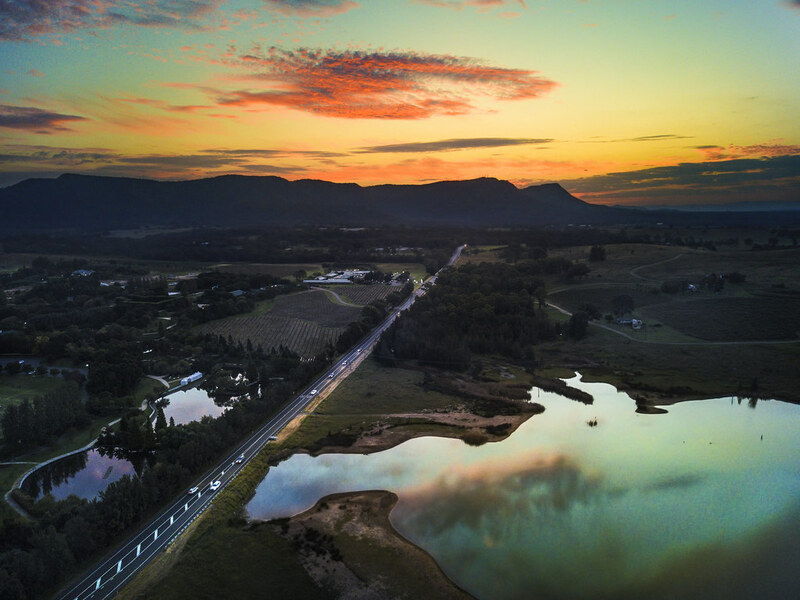 Considering that every traveller’s path in the Land Down Under crosses Sydney at least once, Hunter Valley is one of the most visited wine regions in Australia. 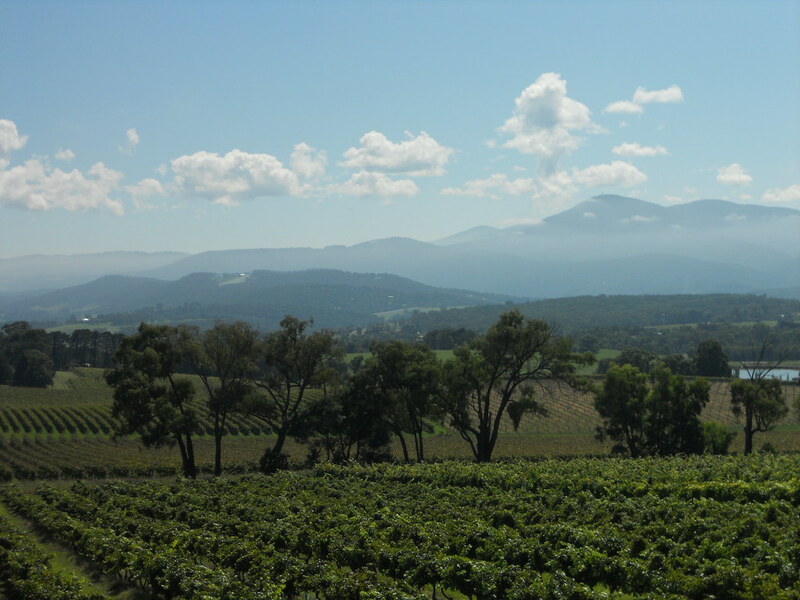 The scenery in the Hunter Valley wine region is abundant, with the north of the valley backed by the Barrington Mountain Range, a World Heritage-listed site. 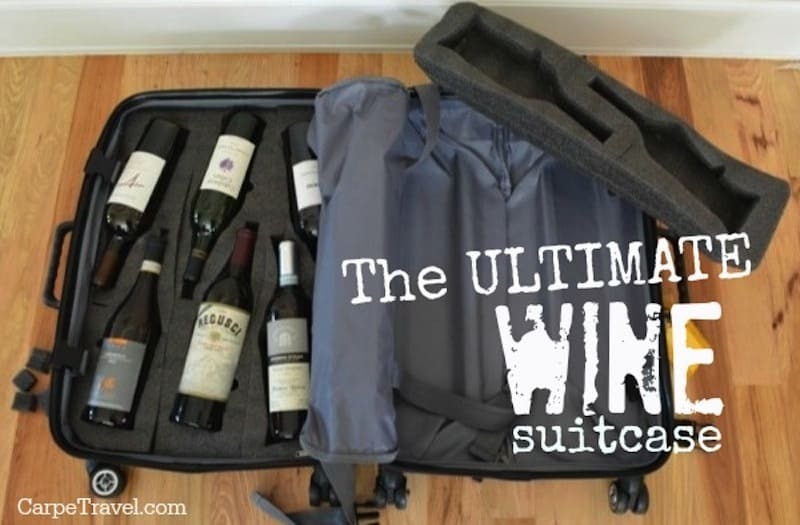 This place is a paradise for those who love wine, walking, hiking, climbing and bird watching. When you think of Margaret River, think of the finest examples of Cabernet Sauvignon outside of Bordeaux. Margaret River is a 3-hour drive from Perth, the gateway of Western Australia. This wine region started growing rapidly in the 1970s, which is slightly later than other Australia’s wine regions. This fact did not stop Margaret River from catching up with the leading wine regions in Australia and receiving world’s recognition for its award-winning Sauvignon Blanc and outstanding blends of Sauvignon Blanc and Semillon. Margaret River region is also known for its exquisite Chardonnay and medium-bodied Shiraz, which is the result of mild climate and consistent sunshine. The technology implemented in the process of growing grapes makes Margaret River a top-notch Australian region for premium wines. Some people would dare to say that they have discovered the Tuscany of the Southern Hemisphere! Just sit back at one of the local family-run estates and take in the breathtaking views of the coast and its pristine beaches. Located between McLaren Vale and Barossa Valley, the Adelaide Hills region is famous for its classy Chardonnay (both still and sparking) and Pinot Noir, grown perfectly in the temperate climate. These vineyards are located only half an hour ride from the city of Adelaide and are partially within the city area. The Adelaide Hills are home to the Sauvignon Blanc that is often compared to the famous Marlborough region vines in New Zealand. Here you can enjoy mineral apple-like Riesling, the secret of which was passed by wine makers of Hahndorf, the oldest surviving German settlement in Australia, through many generations. Other wine regions you might want to check out in South Australia are the earlier-mentioned McLaren Vale (some of the best reds in Australia, such as Shiraz and Grenache) and Riverland (savoury easy-drinking wines). Another hotspot destination in Australia, Melbourne, can offer you a special treat just an hour away from the city. The Yarra Valley is home to more than 80 wineries, ranging from rustic family-owned cellar doors to large wine estates, each offering a unique experience. The Yarra Valley, with its picturesque nature and lush greenery, provides everything for a great wine tasting session. Here you can sample world-class wines made from grapes that favour temperate climates, such as intensely flavoured Chardonnay, aromatic Pinot Noir, classical Cabernet and spicy Shiraz. Must-try wines here are elegant Pinot Noirs and refreshing sparkling wines. Make sure to join one of those behind-the-scenes tours and sample maturing wines straight from the barrel. In Australia, higher-quality wines usually come from cooler and smaller wine regions. 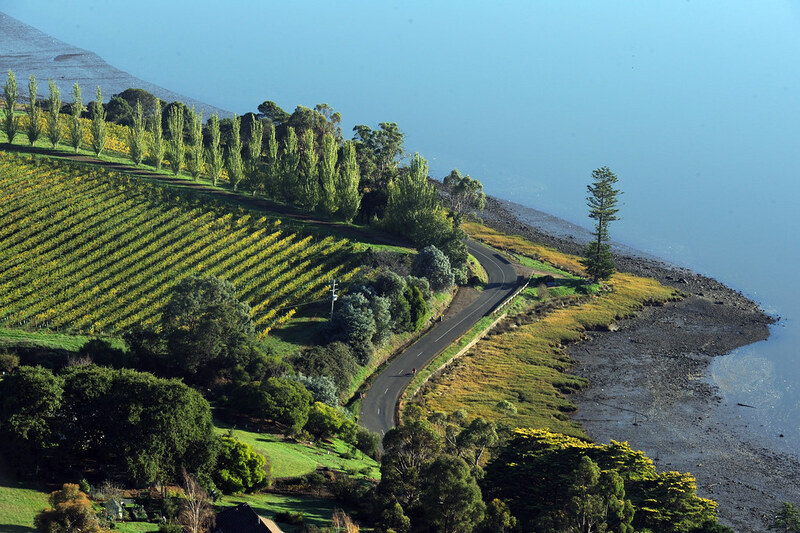 Tasmania has emerged as a producer of premium-quality wines in the past years, and has the Tamar Valley as a leading wine region on the island. The Tamar Valley is situated close to Launceston, Tasmania’s second largest city, which makes it easy to add a trip to the Tamar Valley to any itinerary. Its vineyards run from Launceston to the beaches of Bass Strait, a perfect place for a weekend away! Tasmania is known as a nature’s treasure (as well as foodie’s heaven! ); imagine adding some satin-like Pinot Noir and fruit-forward Riesling varieties to your experience. The Tamar Valley’s Pinot Noirs are special in a way that they are light-bodied, with delicate red fruits, cherry and apple flavours. The Tamar Valley has also developed its reputation for locally produced brooding Chardonnay and top-notch sparkling wines. About the Guest Writer: Irene Seah has been travelling non-stop for the past three years. Visiting new places in the off-season and inspiring others to travel are two of her biggest passions. These days, Irene spends most of the time working on her destination website about Perth, Western Australia. Magnificent post.Pictures are stunning.Thanks for the post.Keep sharing. Agreed, really lovely Chardonnay at Adelaide Hills Irene! It would be great to visit for romance too!